We were in Japan earlier this month for the annual CP+ show in Yokohama, where we sat down with senior executives from several camera and lens manufacturers, including Canon. This interview was conducted with multiple people via an interpreter. As such, it has been edited for clarity and flow, and responses have been combined. Looking at the EOS R system, can you explain why we're seeing very high-end lenses but consumer-level camera bodies to start with? With the EOS R system the target was all about taking the optical capabilities to the next level and achieving the highest image quality, so from that end we wanted to really optimize what the lenses can do: that's why we've started with so many L-series lenses. With the bodies, we were introducing a new system and expanding what we offer. We're looking to capture as many customers as we can, that's why we approached this segment of enthusiasts. And we wanted to make it affordable as well, because we wanted to capture as large an audience as possible. And because you can adapt our EF lenses, the breadth of options is appropriate for that segment, too. Should EOS RP customers expect more affordable lenses in future? How do you strike the balance between developing RF and EF in terms of resources? Because this is a different system, you might expect us to have different teams working on the EF and RF lenses, but that's not the case. We actually have the same optical engineers, the same mechanical/manufacturing engineers working on both EF and RF. In other words; everyone involved is a dedicated expert, skilled in terms of developing interchangeable lenses. Because we've launched RF just recently and we believe there are a lot of gaps to fill in that system, for the immediate future we will be focused on RF lens development. What's the logic behind making a system that isn't compatible with your existing EF-M mirrorless system? When we started to design the RF lenses we didn't want to compromise on what we can do. We wanted to develop RF to its full potential, so we wanted the latest specifications, state-of-the art technology and design. In the process of developing a no-compromise system, it became apparent that this wouldn't be compatible with EF-M. The cameras that use the EF-M lenses tend to be the smaller sizes which may be [oriented towards] a different customer, so we're looking at what those customers want and we'll develop according to that response. You haven't considered an APS-C RF camera, then? I can't tell you what the future plans are going to be, but it is the customer who directs us into our development, so if the customer requests that, it's something we'll try to respond to as best we can. Is there a trade-off to be made between offering the best image quality and being able to offer fast, quiet focus, that you get from using Nano USM? Nano USM is a technology we've very proud of having developed. The first time it was used, three or four years ago, was in an EF-S lens [the EF-S18-135mm f/3.5-5.6 IS USM] where it was all about raising the speed and also that it's silent. That both catered to the needs of videography but also helped to raise the autofocus speed. 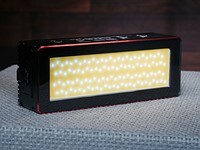 To go with Nano USM you have to design with a lens with lightweight focus elements. It's a new technology so we're always looking for ways to adapt it to the different requirements of the cameras they're used for. Because it can give silent, high speed AF we have a strain of development in place to expand the ways we can use Nano USM. So we're looking into how we can adopt it in the different cameras that we have. For each of the lenses that we develop, we always think about what we want to provide. With the large lenses you see in front of you [the 50mm F1.2 and 28-70mm F2] that was all about really achieving the optical quality performance, that's why we decided not to use the Nano USM. But we did use Nano USM in the 24-105mm F4: that is for video and stills. We thought it would be more appealing and would help provide the features required for such a lens. Almost all of the EOS R lenses announced so far are 'L' series. What does 'L' mean in 2019? For a lens to be called 'L series,' it has to have the latest technology that Canon can offer. In other words, it's about making sure the performance is the latest and best we can provide at that time. Because they're designed for use by the professionals and enthusiasts, we want to provide them with a better choice of lens. So whenever we introduce an L series that's what we mean: we want to offer a better lens for such a segment. And, of course it also has to be dust-proof, etc: the durability aspect of it. That also has to be in place, given the situations these photographers will be using them in. When you're designing for mirrorless: what are main differences, compared with designing for DSLR? It's difficult question to answer simply. With the move to mirrorless the aim is to optimize the space where the mirror box used to be - that was what we were looking at. This allows us to make the lenses smaller and also to raise the optical quality. What are you trying to achieve with the F2.8 trio? We're making sure that the new system and lenses are able to contribute value to the product the professionals produce: which in this case is their photography. For them to be able to see that difference, to see the improvement is really what dictates how we design the lenses. It's literally all about making sure we can offer that level of higher quality, higher value features for this professional segment. The Nano USM question you had kind of relates to that. 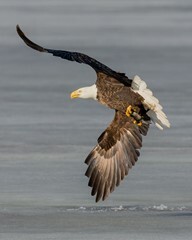 It's all about making sure we have the better autofocus, the silent autofocus and also the 70-200mm to become smaller. Other advances can be see in the wide zoom: it used to be that it started at 16mm, but now it allows for 15mm. And also with the image stabilization feature as well. All of these are about making sure we can actually provide the better value for these professional users: it's about providing this new value. With the three golden [lens] series that you've mentioned, the RF mount allows us to open up these possibilities for them. In terms of making the new 70-200mm smaller, how difficult was it to decide to move to an extending zoom design? We've not actually disclosed that it is going to extend or not, but we do have the extending mechanism in other lenses we make. 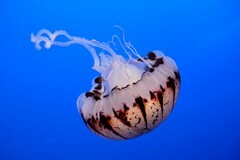 So we do have the experience and know-how in-house: we have the capability to introduce such a feature in a new lens. 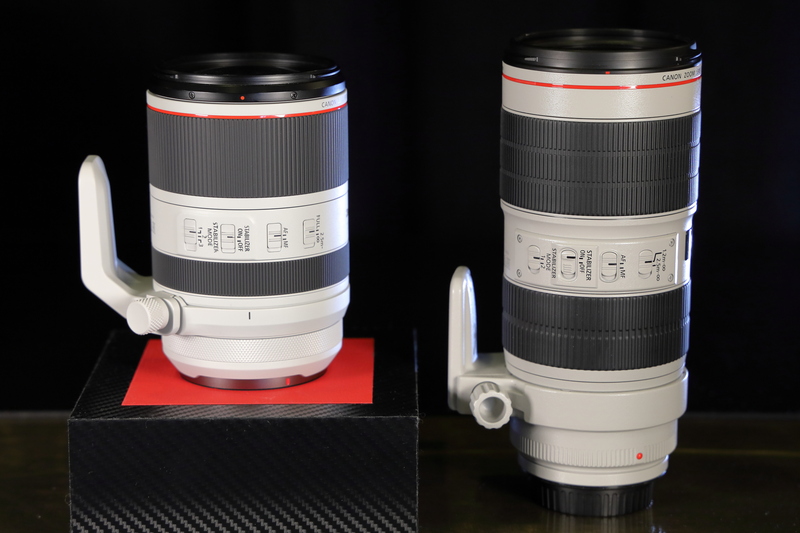 Canon won't confirm its RF 70-200mm F2.8L IS (left) is an extending design. But it is. And the advantage of fast and silent AF: is that primarily for video shooting? With the silence of autofocus, yes we're looking at the video. But we're also working to improve the smoothness of the focus. All of this is in response to what people are looking for in terms of videography. The current RF cameras offer 4K but with compromises. How do you see video features evolving in RF lineup? We believe mirrorless cameras can be good for video shooting for the high end. They do their job well both for videography and still photography. Having said that, we always know there is a need for improvement in terms of specifications and the potential that we can provide for video photography. For the EOS R and RP models, we're aware of some of the dissatisfaction people have commented about our video features, and we are working to respond to this so we can provide for better videography, both in terms of the lens and the camera. What are priorities for sensor development? Speed, pixel count, dynamic range, video? Looking at our entire product lineup, yes, all of the points you mention are priorities for us. We need to evolve in all aspects of those things and that has to do with how we can upgrade our sensors. 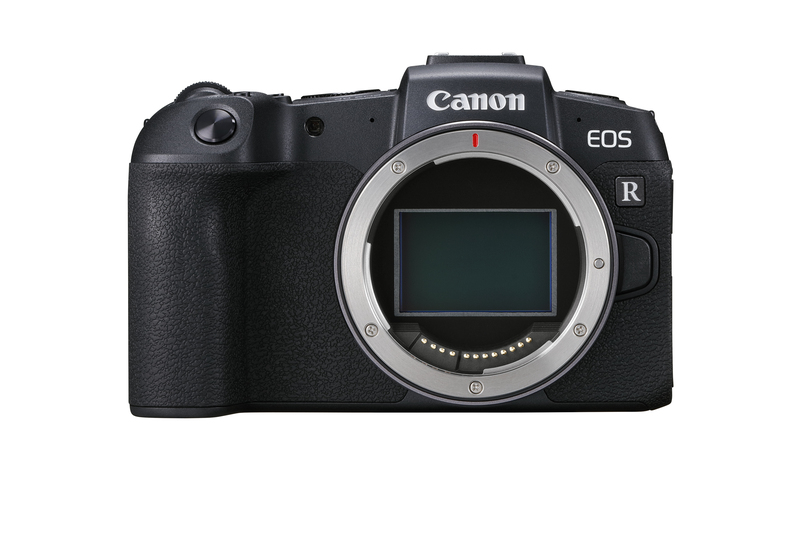 The sensors used in the EOS R and RP don't offer the best dynamic range in their respective classes, and both offer cropped video with significant rolling shutter. In other words, we will be developing sensors so that we can maximize the potential that they can provide. But we always need to look at the camera it's going into: to make sure that that sensor provides the best features or value characteristics that each camera's concept requires. It might be speed that's important in one camera, as opposed to pixel count in another. So the camera dictates what sort of sensor we develop. But we are developing sensors to cater and optimize for each of their features and performances. Are you ready for the Olympics in Tokyo next year? Our plans are on track. We have not disclosed any specification or details about the Olympic year model. But we’re making sure that by [the time of the Olympics] we are able to provide a product with the feature that's most important, which is reliability of the camera. This is for professionals, for professional use as a tool. We need to provide a reliable camera, so that's what we're aiming for. Do you think we'll see more mirrorless than DSLR at the Olympics? Even now I think a lot of competitors are all looking to design high-end mirrorless, so we will probably see more of this coming in. Having said that, I'm not so much interested in the distinctions between mirrorless and DSLR. At the end of the day for the professionals are looking for the ultimate result that they can get from their professional tools. They're looking for the reliability once again, and also the operability, the usability, ease-of-use: these are very important for these professionals. In other words, it's these factors that are most important, not whether it's a DSLR or mirrorless camera. It's not so much about saying it’s a contest between mirrorless or DSLR. In the long-term can you see Mirrorless replacing the DSLR? There is a trend towards mirrorless. They're the cameras being developed and produced, so there might come a time where that might happen. And Canon is making sure we're not behind with that trend. 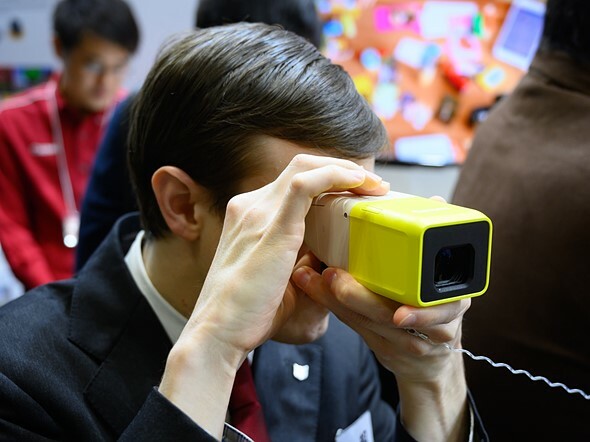 Canon has been working on a variety of novel camera concepts, four of which were on show at CP+. Last year you showed us some compact camera concepts, more evolved version of which are now on the show floor. How is the development going? I guess you've seen the four models. What we're doing now is getting the customers response or the user response to see what sort of thing we can improve on. So we're actually in that brushing-up stage, if you will. We would definitely want to get these cameras on the market soon, if we can. In the light of the changes in the market, what does Canon have to offer mainstream/casual users? Like the prototypes that you see, it has to work with smartphone as well. We believe there is something that can be done to co-exist with the smartphone. So, in addition to the ILC and the compact camera market, we believe there's a new genre of capturing: a new casual capturing market if I may say. I think there is potential for new developments to be had in that spectrum. Perhaps the thing that surprised me most was Canon's openness in this interview. 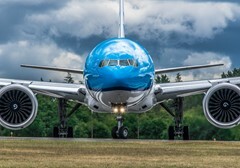 Historically very few companies have been willing to even imply that their sensors or their video performance might need to improve, so the teams' responses came as a refreshing surprise. Similarly, it was interesting to hear Canon's executives make clear that they're currently focused on RF lenses. 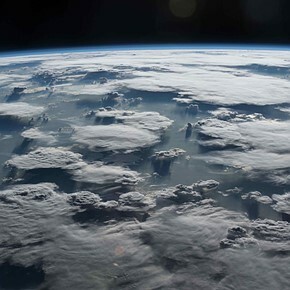 It's an understandable course of action, given the company's need to make the system look comprehensive and appealing as quickly as possible, but it's still striking to hear such complete focus stated on-the-record. The implication, of course is that EF lens introduction will slow down for a while. I didn't think we'd ever hear Canon execs entertain the idea that sensor performance might need to improve. As you might expect, Canon was very keen to talk about how seriously it takes its pro-level offerings, even to the point of almost confirming that there'll be an 'Olympic Year' pro camera in 2020. While we tend to focus on technological improvements, Canon is stressing the importance of reliability (something that we can't really capture in reviews, since it can only really be confirmed with hindsight). I personally didn't think we'd ever hear Canon executives even entertain the idea that mirrorless might one day replace DSLRs in the market (we're so used to hearing 'there's a place for both'), nor allow even the slightest implication that the company's sensor performance might need to improve. 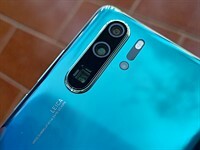 The intention of making a pro model isn't much of a surprise, given the company's focus on high-end, 'L' series RF lenses (eight of the ten lenses promised so far will wear the 'L' designation). But again, in amongst talk of 'the latest technology' and 'the highest quality' there was an acknowledgement potential trade-offs between image quality and optimal autofocus performance. If anything that just leaves us all the more keen to find out how the forthcoming Nano USM-powered F2.8 'L' trinity will perform. At the other end of the market, Canon was the only company we spoke to at CP+ that publicly confirmed that it's searching for a market beyond enthusiasts and professionals (the audiences at which most recent announcements have been aimed). 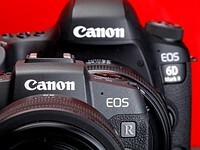 Promises of trying to "capture as large an audience as possible" with the EOS RP aren't fully backed-up by the RF lenses announced so far, but the continued development of the compact prototypes suggest we should take Canon at its word when it says it believes "a new casual capturing market" could yet exist, if they can create the right product. I don't completely get it with Canon. They are producing some wonderful lenses, but then come up with two very mediocre cameras. People who buy into EOS R and EOS RP are imho not the kind of people who will spend 3000 dollars on a single lens. So I see a mismatch between the camera department and the lens department... Maybe it would be a good idea for the both of them to talk with eachoter and come up with a more strategic vision. First the pro lenses, then the pro bodies. It’s not that difficult to understand. Who is going to buy a pro body when there are no pro RF lenses yet available? And there is plenty of affordable EF glass for the eos R and Rp, with the option of investing in the more expensive RF glass. Seems pretty logical to me..
Why would people buy the body if they can't afford the lenses. It just doesn't make any sense. I think Canon lost track. They also can't seem to stop the bleeding that takes place. So it seems they are not doing it the right way. Opinions may differ of course, but this is how I see it. Guess that means ZERO hope for a replacement for the geriatric 50mm f1.4 then. I get no love from Canon. DSLRS will soon be done anyway. Within a decade they will be fully replaced with mirrorless. 1990 outfits? I'm not seeing any three-button squared-off suits here. When all lenses (I would need) are available, that cameras are the electronic scrap from yesterday. I think what they’ve done is brilliant. They built an affordable mirrorless full frame that works perfectly with all existing EF lenses with adapter. The EOS RP will sell very well and as a result Canon will sell more EF lenses. This gives them time to work on new RF lenses. I bought an EOS RP and have already bought several EF lenses to use with it. I can wait for the RF lens lineup until then I have more than enough EF lenses to play with. Where they asked about IBIS or was the question out of bounds? - "Don't annoy us with that question and don't print anything about it." "We are working on a combination of optical and body stabilization, working together to give enhanced IS"
And this looks like corporate leadership in the 80s, the 90s, the 2000s, until this very day. And yes we have work to do to better diversify corporate leadership. To the OP, The suits always get the photo ops. I guess it's one of the perks that goes along with the 6-7 figure salary. Surely you didn't expect a disheveled engineer or a clean room tech in scrubs? I'd try a fixed lens "Powershot" full frame camera a la the APS-C one. Now just compare this interview with the one with Sigma CEO Kazuto Yamaki. Independently from the company names: which attitude do you prefer? ps: While Canon captures customers, my Sony captures great moments and I never look back to those times with crippled bodies (but great lenses). I haven't checked any stats or anything, but I've got a pretty strong suspicion that Canon cameras capture way more moments everyday than Sony cameras (not Sony sensors that are in other brands' cameras) do. Particularly in sports and journalism/reportage. I'm curious to see if there will even be 5% of journalist cameras at the next Olympics that are Sony. Of all companies, Canon is strong everywhere—compact and bridge; 1" sensor; APS-C; full frame; camcorder and professional video; printers ... I admire them for that. Dear janist74, there is a huuuuuuuuuuuge difference being a CEO and being not, I hope you can catch the slight difference. Whily GM might have the biggest market share in the car market, it doesn't mean they have the best cars. Even if you look at utility/$. The fact that pros have not embraced Sony says all that needs to be said about Sony "quality". But sadly, it's not the tech, aside from poor AF (vs. DSLR). Sony's sensors are the best and AF tracking is impressive, though all things AF still require too much light than in often practical to perform impressively. Sony's dealbreaker drawback though is terrible ergonomics/haptics. Bottom line, if it's too difficult or uncomfortable to shoot with a particular camera, you're not going to. And that's why pros and serious enthusiasts don't shoot Sony. And why they do shoot Nikon and Canon. Which is why Canon captures way way more quality images than Sony everyday. Sir 7 canon cameras are no match to smartphones when it comes to capturing moments. Not even close. Its just a number and means nothing when it comes to quality of products. Except that the topic at hand is whether Sony cameras or Canon cameras capture more moments. Smartphones would be another topic, but no doubt they capture by far the most moments. The quality of which, however, is quite questionable. Though it's probably still a pretty safe bet that more objectively-beautiful images are captured daily with smartphones than all other cameras combined. Kind of contradictory of Canon to focus on highend L level lenses with the latest tech when their R bodies are kind of lagging behind (in terms of everything except maybe number of focus points). Would have preferred they started with just the RP and launched an array of highly affordable and fairly compact lenses and get a much larger chunk of the market (consumers with a limited budget). Not really. You might be surprised to know that many customers will spend more money on lenses than on bodies. There are people with Rebel bodies using L glass, for instance. 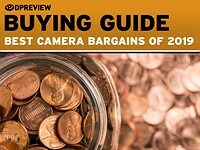 It's a myth that everyone buying a less expensive body must not be interesting in the more expensive lenses. Smart money goes into lenses. And keep in mind that many buying the RP are already Canon owners, with DSLRs and lenses. Some have high end DSLRs. If you want to launch a system right you put priority on the lenses. In the long run that works out better. Lenses establish the system. @Thoughts i agree its the highend lenses that brands the system. but i disagree that the money are on the very expensive L lenses. there are far far more people that bought a 50/1.8 over a 50/1.4. even more so if you include the 50/1.2 L. the difference so large that you can't even compare. and this applies to all focal lengths and brands. pricing will always be the most important factor. there is no way you will be buying an L lens if you can't afford it. Canon M is the system with compact, affordable, lenses, but that aren't many native lenses to choose from. Upgrade cycles. Hook 'em with exorbitantly-priced glass and sell 'em a junk body. They'll buy another body in a year, then another 2 years after that. Sure they could have made that 3rd gen body when 1st gen released. But then they'd be missing out on 2 upgrades. Nikon's been doing this forever also. I don't support this practice. I hate it, frankly. It's indicative of a clear duopoly where advancements take an obvious backseat to profit. It is what it is though. I hope Lumix blows the pants off of Nikon and Canon with the S1/S1R! Nothing wrong with using ultra high end lenses on a cheap body or the other way around, if you know what you're doing. 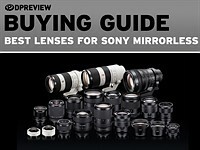 But if you only have low end bodies and high end lenses on offer, or the other way around? That becomes pretty weird. First off you cut off the customers who don't have the money for expensive lenses (or bodies if it's reversed). And second, generally people expect the lens grade and body grade to be in the same ballpark. People who only shoot with exotic telephotos are more likely to buy an equivalent camera, while if you buy a cheap 300 € MILC, you probably also want a walkaround lens that matches the body in size and cost. In fact their pricing of the more common items is getting more lower lately, look at Q2. If anything it's due to other manufacturers increasing their prices though. At least with Leica you are likely to get a matching body/lens and probably with a reasonable size and weight, while the others are all over the place. I think you missed that bit about 1/3 the price. As for the Q2/M1X... Well yes pretty much. Reliability? Not an issue with Canon pro sports bodies that i can ever remember. If that didn't smack of dodging due to simple elusiveness, or no new features worthy of mention, i don't know what would. And regarding mirrorless at the Olympics; back to reliability? Huge dodge. Regarding Canon's mirrorless future, they're making sure they don't get left behind? Either they've got some crazy-awesome MILC tightly under wraps, or they're truly oblivious to their and other manufacturers' positions/technology in the MILC arena. The fact that you haven't had an issue with any Canon body validates exactly what the Canon execs said about making reliability a priority. You just don't get that by accident. Of course Canon is not going to divulge precise future plans; no company does. Canon has reliability so wired that it ought to be low on their priority list. So the subject of their dodging should center around something other than the foregone conclusion of pro Canon bodies. Either that, or tell us some truth and give us some insight. Canon's have been sturdy and reliable especially in long term use. Its probably why a lot of people continue to support Canon. My 1000D works flawlessly to this day even though it looks like its been run over by a car (dirt, dents, fades, scratches, bumps all over the body). @sir7 im pretty sure canon has done their marketing research and analysis and already have a long term strategy for their camera business. although i have no idea what their strategy is cause clearly sony has now become the new industry standard. im seeing a lot of highly depreciated canon bodies, lenses and accessories on the 2nd hand market. im actually planning to take advantage of this reality by getting a used 6Dm2 and loads of dirt cheap EF lenses. Canon is always dodging. Had the 70d back in the day but returned it because the obvious focusing issues it had. It’s a well known problem, but canon never accepted this as a fault. Canon is only interested in sales numbers, which they achieve with dirt cheap dslrs. Most who are serious about photography have switched to Nikon which have more capable high end bodies like the d5 and d500. Not to mention the ones that got sick of Canons crippled bodies and switched to Sony. Not a bad idea at all! Despite the criticism the 6DM2 gets for its sensor, it's still a very capable body that does make gorgeous images. I'd be quite surprised if you're unhappy with its bang for buck. Lol, I disagree about Sony being the industry standard. They got to the FF MILC game first and remained alone until now, and therefore they defined it. Perhaps for MILC they are the standard, but no way the industry standard. And a standard is just that: standard. Not exceptional or best. Sony has horrible ergonomics, haptics, and menus. For me, they are borderline unusable. If a DSLR had the same ergos, haptics, and menus, nobody would buy it at the same price point as the equivalent MILC. Mirrorless users haven't cared about ergos so Sony's gotten away with murder all this time. Surely because pros never considered mirrorless because the AF is way inferior to DSLRs so the bodies were never intended for, nor did they attract pros. That's changing now with the Lumix S1 and S1R. Well, Nikon's been my preference for decades but I dunno if I can agree that most serious shooters migrated to Nikon. There are still a LOT of Canon devotees with tremendous talent. Pro level Canon gear is just as good as pro Nikon stuff. Better in some ways, weaker in some ways. Personal preference really. I don't think anyone will argue Nikon's got the better sensors as they use Sony sensors. 1 thing that Sony does truly dominate ATM is sensor technology. And it does seem that more Photographer Of The Year winners shoot Nikon, and photographs that I tend to really be drawn to were shot by Nikon-primary photographers. But that's splitting hairs. There are tons and tons of fantastic work done on Canons, in the past and in the present. My personal impression though is that Nikons are constructed better than Canons in general. But again, splitting hairs, and likely just a personal thing. Many will argue the exact opposite and make very valid points doing so. The 1D Mark III had pretty dodgy AF until Canon finally admitted it and started fixing them after a few months. I never knew that about the 1DM3. Thanks for the tidbit. Glad Canon owned that flaw pretty quickly. "And Canon is making sure we're not behind with that trend." well since the A7 series of Sony, you have NOT done alot to to keep up with the trend. This irks me. Canon sits back and watches Sony create all this tech and then drops their POS cheap FF mirrorless camera with four year old specs into the market trying to control share loss. No hard work, no innovation and all existing features that have been around mirrorless for over 4 years. Shameful and the same for NIkon. These companies no longer got soul. 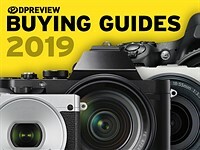 DPReview should have called them out more on the mount for which they had no foresight in their early mirrorless efforts. Pfft. It’s just stuff. Don’t take it so personally. And if customers decide to buy a different brand, you shouldn't take it personally. Hahaha...did Sony create dual pixel AF? Did they even create IBIS? And last I checked, the Canon RF mount is a more advanced one than Sony FE. Oh yeah, lenses count too when it comes to engineering and innovation. But regardless, your comment shows no awareness of what it takes to engineer a product, including the RP. Canon, Nikon and Sony each have their strengths and weaknesses. I mean Sony is still figuring out some basic stuff like reliability, usability, ergonomics, menus, etc. 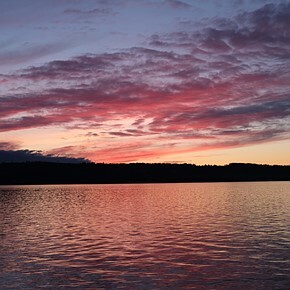 Take a deep breath and enjoy the choices, and realize that not every one thinks the same as you do and that's OK. Different people have different preferences. @ thoughtsareus do you think people care about what it took to engineer a product? Nope not one bit. We're consumers we just want what we want when we want it! Nah, nah, nah... The FTZ adapter works flawlessly. Pick any F-mount lens you like. There are a LOT of exciting lenses! But I know you meant native lenses, and you're definitely right on that front. Meh, but I personally don't care about that. Good glass is good glass and there's a lot of good glass to choose from that'll work perfectly. its crazy complicated piece of tech. Buy it and take pictures. Spend less time here. Walk a dog. Go fishing. Show us the pictures. My main takeaway from this interview: "It's not so much about saying it’s a contest between mirrorless or DSLR." Agreed. Everyone should use what tool works best for him/her, regardless of format/brand/size/weight/color/price. Come on, you gotta admit a candy apple red pro body would be awesome! "For the EOS R and RP models, we're aware of some of the dissatisfaction people have commented about our video features, and we are working to respond to this so we can provide for better videography, both in terms of the lens and the camera." This is great that Canon have acknowledged this. The 5DIV, 6DII, M50, EOS R and RP have all been frustratingly crippled in the video department. Lets go back to the 5DII/550D days. Canon still covers all the bases as well as anyone. The compact cameras, 1" sensor,APS-C and full frame are all compelling, as our the consumer and pro video camcorders, printers, etc. Canon and Nikon have put off "going FF mirrorless" as long as possible because of the immensity of the project. They are trying to build a brand new mirrorless systems while faced with the immense challenge of smart phones and declining revenue. I do like the first looks of the Canon 70-200 lens. I had stopped using my Sony 70-200 f4 because of its size and didn't want to use a large camera bag any longer. I replace it with a 135 f1.8 lens and like it much more. 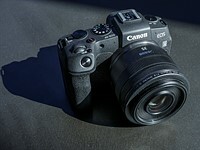 I hope the enthusiast market survives the smart phone onslaught and kudos to Canon for trying to get out front of it. R is a sinister plot :-) to get people to buy expensive L lenses. Shocker. Company wants to make money. I'd be worried if they didn't. I agree that it's not a shocker. :-) It does help explain why their first wave of RF lenses are almost all expensive L lenses though. 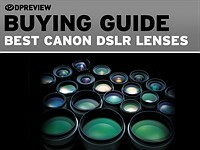 In the Canon USA press release, they even list an L as the official kit lens of the low-end RP. That's the first time that I recall Canon mentioning lenses in their financial documents. They always disclose unit sales for camera bodies, but don't for lenses. "We're looking to capture as many customers as we can"
Because they're leaving, I guess? "- In terms of making the new 70-200mm smaller, how difficult was it to decide to move to an extending zoom design? - We've not actually disclosed that it is going to extend or not, but we do have the extending mechanism in other lenses we make. [...] To be clear, though: I have not said that it's going to be an extending design." That's a secret worth keeping secret. Mankind is not prepared. I wouldn't be surprised if Canon becomes the world wide market leader in ff mirrorless this year. Canon is late to the ff mirrorless party but it looks like they are doing everything they can to catch up. I'm also surprised at how well they can keep their new products secret up until the last moment. I've been a Canon user for many years now and the one thing they do very well above all in my experience is reliability. For comparison, #2 Nikon is forecasting a 21% ILC share. All of these past several years, when some predicted the downfall of Canon, Canon has managed to maintaining remarkably steady market share and indeed market leadership. Canon puts out great products, in spite of those who look only at spec sheets. That's why they continue to do so well. I somehow begin to think that IBIS on recent Nikon/Canon DSLRs was not possible (or difficult) because of the 30 years old protokoll on the bajonett. The article above gives some hints on that. Other vendors who succeeded have way faster and newer bajonetts and protocols to interact between body and lens. I have the EOS R and i think i should probably have got a different camera i bought it because i already have plenty of glass etc The firmware upgrades so far are weak and Canon is relying on their past success. I actually love it . 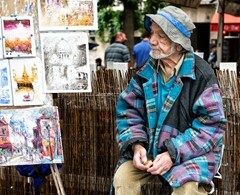 I believe that you can manage to take brilliant photos with any Pro/enthusiast camera available in the market right now. The guy behind the glass overcomes the firmware updates ;). But that is only my personal opinion. Did you buy it for firmware upgrades? I returned it after 28 days. It's a good camera but it shows they aren't trying hard. Canon has not traditionally been big on FW upgrades which add features. That could change, of course and it may be the wave of the future for all manufacturers. EOS R is a great camera. Easily the best ergonomics and feeling of any FF MILC by far. Pictures look great and can use those fabulous RF lenses. 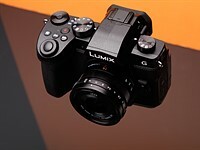 EOSR feel good but it isn't as good as Panasonic S1. EOS R touch bar, lack of joystick, dial mode is a miss for me. It doesn't feel as professional as S1 with good layout, joystick, and backlit buttons. Is that Jared Kushner with the yellow spying glass ? I don't know what happened to Canon but I want the same kind of innovation spirit they had during the '00s. I think the four guys pictured in the article happened, and nothing different will happen until these guys retire. The usual Japanese corporate story. In the US the declining camera market would have pushed them out around 2015 and brought in someone new. Not that it had made a difference from a market decline standpoint but at least we would have witnessed some more athletic products. With the shrinking market, they are probably thinking of doing just enough to be profitable. Enough that loyal Canon users won't leave. It is obvious that Canon's silicon division lost big time compared to Sony's. This affects directly stills sensor performance regarding noise and DR, and indirectly readout speed and 4k capabilities. Other than that, Canon is the only big camera company left which can produce their products independently from Sony. Others are struggling to keep their boats afloat. medon78, if they catch up, competitors are already another step ahead. Canon, Nikon and Panasonic aren't staying still. Canon are always catching up. If Canon can achieve 95% of Sony-sensor RAW performance, PLUS dual pixel AF, this will be hard to beat. And see, Sony FF sensor performance is not advancing any more since several years. Seems we hit some threshold. Lenses: Canon already released some really impressive ones. Wait for some more f/1.8 primes, and everybody will be happy. Of course, if Sony has another trick to pull, things could be different. Maybe AI. The problem with canon right now is performance, and their continuous putting the breaks on things. If you pick up the A6400 and take a few portraits, it can make even your wife of 25years that is in no mood to pose look good. I commend DPR for asking intelligent questions! It's also nice to see camera makers actually bringing people who know sh*t about their products to trade shows. Although Canon is its usual self. DPR: When designing X, did you prioritize A or B? Canon: Yes we designed with A in mind. And also with B, because B is important to our customers. We want to bring value to our customers. We want more customers. DPR: How does the customer choose between C and D when it come to Y? Canon: We designed with C in mind. And also with D, because D is important to our customers. We want to bring value to our customers. We want more customers. DPR: E is very interesting. Where does it stand in Canon's lineup compared to F? Canon: We designed with E in mind. And also with F, because F is important to our customers. We want to bring value to our customers. We want more customers. And let's not forget "we listen to our customers, anything is possible in the future". Also "We have the technology and know-how to create zoom lenses with extending barrels"... Wow. Yea good for you Canon indeed. Who would think extending barrels were at all possible. Lol, exactly! A lot of words to say virtually nothing. Sounded quite placating to me. Standing ovation to them, while raising mouth corner looking sideway to heat debates in DPR and several comment(er)s here. I hope these guys monitor the BCN sales data. Currently things aren't exactly supporting their mirrorless strategy. They sell a lot of M but sell more Rebels. Their full-frame mirrorless bodies are not exactly successful so far. The R has failed to reach the top FF seller spot, and the RP has made a brief appearance in the top 50 before going away. @Kandid I love it when people write something like 'you've got reading issues' and then post a reply that's completly irrelevant to the post they reply to. The irony. Oh nevermind. My post got a few likes so I guess some people have fewer understanding issues than you have. Kandid is right: the data directly contradicts Jay's assertions and Kandid actually lays out the data to prove that. BCN March 2019: first two spots owned by Rebels, then Ms.
RP not in the top 50. It would be great if you explained to us where the data 'directly contradicts Jay's assertions'. One assertion of mine that should be corrected, though, is the following: some time ago I told Thoughts that the RP entered the BCN top 50, which was good sign for Thoughts' own prediction about its future sales. The thing is, it's already out. So I stand corrected here, apologies. OK, let's review this too: so I wrote 'Currently things aren't exactly supporting their mirrorless strategy'. Let's see. Canon's mirrorless strategy for full frame was to plug the leak towards Sony. You seem to ignore on purpose that there are quite a few FF bodies in the BCN top 50, from Nikon (D850, D750), Canon (6DII, 5D4,R). The thing is that the Sony outsells them all. And where do you think all these people buying Sony come from exactly, in this shrinking market? So - failed strategy. Canon's mirrorless strategy for APS-C is that there is none. With the incompatible RF mount out the next logical step is to pull the plug on a system in which Canon never believed (8 native lenses in 7 years, wow). the M is not needed since it's outsold by Rebels at the low end. The M cannot serve the purpose either to create an inflow of upgraders. So - Canon's strategy here has a name and it's Nikon 1. Come on, guys. No namecalling or insults, please. And minimal or no pedantry, please. Social media is sorely lacking in respect for others. Let's please not drag DPR into the same muck. The way i personally see it (not that this is any posted rule or anything) is go ahead and bag on products you don't like all you want as long as you can back up your assertions, but don't bag on people. Insults beget insults. Then what's the point of even being here? Flame wars? What's the point in that? My 2 cents. Thanks, guys. @Kandid. I just reviewed what I said, word for word. Hard to change the premises in this case. And I did not fall back to insult, but it’s quite obvious that you did. What are you thinking, Canon. Is this a vintage photo or these Canon guys didn't age one day from last year? Even the interview kind of sounds the same as last year. I own a few Canon cameras but I stopped buying new Canon body's or lens. When the bodies wear out I'll sell the lens or see if it is practical to adapt them to Sony bodies. The way they cripple cameras kills me. I'm fine with my little M50, if no more new lenses come out. I have my 2 kit lenses. I take it as a travel camera, and think of it as a small almost pocketable camera w/o interchangeable lenses, but with better image quality. It's my main camera now, but will remain my small travel camera once I get a FF. Well Canon pushed back the 7D mkIII until 2020. What gives Canon, are you afraid? Well, they won't capture me . Happy with my current gear . I was nearly captured by the EOS-M back in its beginnings. Now it would take a lot of convincing to make me jump to the EOS-RF. Canon needs much, much faster cpu to do all those things, aside completely new sensor tech. It wont come soon, cheap and without hiccups. 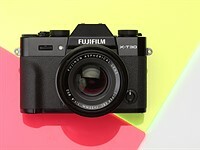 I'm so happy to be shooting with Fujifilm's X Series system. The arrogance of Canon's senior management is unprecedented. These guys certainly aren't clueless..it's pure arrogance! Fuji aren't any better. Currently, camera reached a plateau: compared to any other electronic appliances, ILC cameras are very expensive for what they really are. most of the money is spent in promotional efforts, for selling camera that are built cheaper and cheaper (not even assembled in Japan anymore, but in China or other low labor cost places). @pentaust: Canon's version of cheap labor is automation/robotics. As a result, even their M100 is made in Japan. Some camera companies have moved production from China to Vietnam. Actually, I'd be happy shooting with any mirrorless system other than Canon. Canon senior management have to be the knuckleheads in Japan. you're happy to shoot with any other camera other then Canon because of Canon's senior management... wow. Camera without a good lens is a bad camera. While XT3 is a nice body it is not enough. A lot of people praise quality of Fuji glass. I have different experience. As an owner of Canon 5D mk iv I thought that perhaps a smaller body will suit me better and I bought Fuji XT3 with the kit lens (18-55 F2-4.8) and Fujinon 23mm F2. And I am so disappointed in IQ. I knew that the kit lens will not be a match to Canon 24-105/F4 (it is not, far from it) but I hoped that at least 23mm F2 will be a match to my Canon 35mm F2. Actually I have never had a worse lens that that Fujinon 23mm, even old Russian M42 lenses are better. Depending on a subject distance it can get really blurry, especially when subject is far left part of the image is just unacceptable. I lost confidence in Fuji glass, something I always had for Canon glass, I have been using Canon system since 2000 and I never had a bad lens. 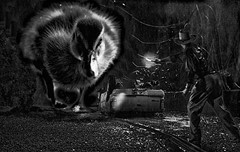 I am going back to Canon, probably I will buy EOS RP and the new RF 24-105 and RF 35mm. Looks a scene from the "Usual Suspects"
Which of these guys invented heavy 4k crop factor and which one had an idea to block dual pixel AF for 4K? None. Neither of those things were done on purpose. They are technical limitations of the hardware. While i obviously wasn't part of the product design, my mindset says this was a marketing decision to prevent cannibalization of higher-end bodies. We see it from all brands. It's lame to cripple natively stronger product, but i get it that brands create products with certain realized abilities and restrictions to fit the price point they have determined. Canon doesn't have any higher-end bodies that have un-cropped 4K video from a FF sensor so they can't be doing it to protect higher-end bodies. Oh yeah? Does installing Magic Lantern give you un-cropped oversampled 4K from a FF Canon sensor? To clarify, there was an autocorrect error in my last post. I meant "... my money...", not "... my mindset..." as autocorrect vomited out. 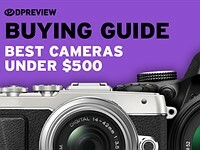 With competition now putting pro-spec features in lower price models, will Canon continue to make customers buy higher end cameras to get these features (like 2 card slots, faster fps, 4K video, totl AF, IBIS, etc)? Canon really has their full court press going as I've not seen before and it is bordering up to annoyance. Still absolutely nothing about an upgrade path from EF-M to RF then? No upgrade path but having two different systems - EF-M compact and APS ML and EOS R for FF ML but punters can buy excellent EF Glass - especially on the used market to use on both mounts. Canon is still a fordable company and don't underestimate what they can do and at least will keep their market share and user - not sure whether they can get any switchers. @justmeMN - Sometimes that's all you need. Because let's face it, very few of us are shooting for advertising agencies, publications or print. Most of us are shooting for enjoyment and recreation. At the very least, it should be left to the users to decide if they want to use crop lenses on FF bodies, as Nikon, Pentax, and Sony do with their DSLR systems, and Sony does with their mirrorless system. To bar it outright is quite restrictive. And it hasn't been an issue with other FF systems (Nikon's, Pentax's, or Sony's). As for saying, "Not good...", let the user decide that. Besides, what is worse? Being able to use your existing crop lenses but with a resulting 11mp image (which is still PLENTY good enough for most applications)? Or not being able to use your existing crop lenses at all? I would definitely choose the first option over the second. @justmeMN - By the way, Canon offers crop mode on their mirrorless FF cameras because they know that it's a helpful and desirable option and because they know that many of their users have been wanting that option (the option to use crop lenses on FF bodies with crop mode) for some time. So even Canon considers it to be a "good" feature to offer. @T3 - If that’s all you need, they hve a whole range of M series bodies you can choose from. Why do you need an EOS R to use M glass on it? @Wade Marks - I said "sometimes" that's all you need. The whole point is that if you have a system that encompasses both APS-C and FF, it gives users a lot of flexibility. Sometimes I go out with my APS-C Sony, sometimes I go out with my FF Sony, sometimes I go out with both. Regardless, there's complete compatibility across both formats. The same goes for Nikon's, Pentax's and Sony's APS-C/FF DSLR system. And it's only partially true of Canon's APS-C/FF DSLR system, where FF lenses can be used on APS-C DSLRs, but Canon doesn't allow use of their APS-C lenses on their FF DSLR bodies. Fortunately, Canon doesn't have that restriction with their EF-to-RF adapter and their FF mirrorless bodies which have crop mode. Again, the whole point is to have that unrestricted compatibility and flexibility within a brand's system. And it also allows for an upgrade path for those who start with APS-C. Yes yes, you use one or the other or both. I still see very little need to be able to stick my 28-70mm f/2 on an M50. @Wade Marks - You happened to cherry pick the most massive RF lens that Canon makes, lol. But consider the *many* RF lenses that Canon will be releasing in the future that EOS M users won't have access to. Just imagine if Canon Rebel or 80D users (both APS-C bodies) had no access to Canon's EF lenses; they were restricted entirely to Canon's limited selection of EF-S lenses. How many Canon users would be happy with that? How many people would be saying, "I see little need to be able to use EF lenses on my Rebel or 80D or 7DII body"? A small few, I'm sure. Everyone else would have gone to other systems that aren't so restrictive. @T3 - But EF-M users are not restricted to EF-M lenses are they? They also have the full gamut of EF and EF-S lenses. So I might be ‘cherry picking’, but I pointed to one of only four lenses EF-M users are currently missing out on. None of them are terribly suitable for EF-M, the 35 is bettered by the native 35. The 24-105? Doesn’t make a lot of sense. 28-70? Neither. 50/1.2? Nope. Seems a lot of sulking over something that most users will not do. @Wade Marks - A lot of people buying EOS M are mirrorless native, which means they've never owned a DSLR and therefore don't own any DSLR lenses. To buy a DSLR lens (when you don't have a DSLR) in order to adapt it to an EOS M is not as attractive to many new users as you seem to think. In fact, with every passing day, this becomes more and more true: DSLR bodies and DSLR lenses will fade into the past, especially with newer users who have never used a DSLR, have no interest in buying a DSLR, and therefore don't want to buy DSLR lenses. Ultimately, I think Canon will put an APS-C sensor into an RF body, then take existing EF-M optical formulas and put RF-mounts on them. That will consolidate Canon's APS-C and FF mirrorless around a single mount, finally providing Canon MILC users compatibility between APS-C and FF. 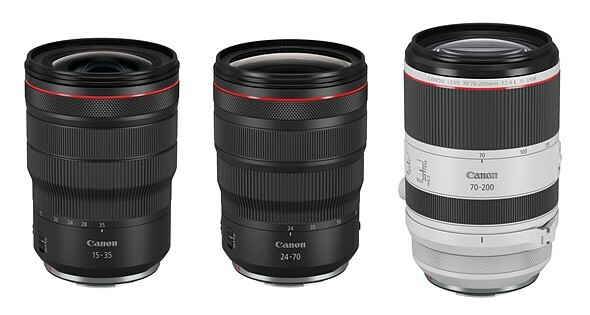 That means Canon APS-C MILC user will finally be able to use lenses like Canon's new RF 70-200/2.8L. 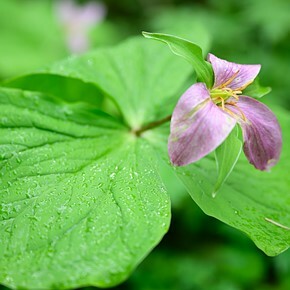 The EOS M system will be left to slowly die on the vine. 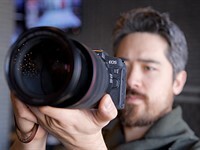 @Wade Marks - I also think that Canon's inclusion of APS-C crop mode in their FF mirrorless bodies is a hint at where Canon is going. It's not just so that Canon's mirrorless bodies can use EF-S lenses. It's also in preparation for the eventuality that Canon RF-mount FF MILC bodies will eventually be accepting RF-mount APS-C lenses because Canon will eventually have APS-C RF bodies and lenses. Canon is finally coming around to the idea that users want full APS-C and FF cross-compatibility. But as always, Canon moves very slowly. More slowly than many of us would like. It must be a full moon again. The 6 stop shadow pushers are all out bashing Canon. agreed, why can't we all just be happy with paying 2019 prices for 2012 sensor performance. Some folk are only happy when they are moaning or making disparaging comments. Posting a canon news story on DPReviews draws more Sony fanboys than flys to a turd. However , try that on an E mount forum and you would be banned in an instant. Looks like father George has the 'disparaging comment detector' switched to full-on position. 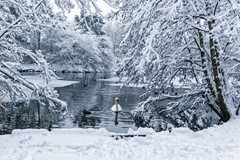 Photomedium - and your interest in canon and making a positive contribution to a forum discussion is? Thanks for monitoring the positivity coefficient in the comment section, I am afraid that alone is not adding anything either. We are nothing but farts in the wind with Canon. Photo medium - pointing out once again that you are an unpleasant troll does have a value, your mistake once again. George. This particular thread started out with yet another “justification” of Canon’s lack of sensor investment. You just didn’t like the rebuttal. mikeRan - I don’t care enough about that which makes little or no difference. My only point of contention is folk who actively seek to criticise and have no guenuine interest in canon and think it fun to poke fun at others or assume that they have made a wiser choice of camera brand and others are foolish to choosing canon. photomedium is a troll and I called him out. Actually you called out MILC man but that’s history. Be careful uncle bob is seriously frustrated. Is going to start calling you out as well if you actually point out his nonsense by engaging him in a back and forth. Photomedium - Still off topic and trying (not very well) to score points. Other people are more respectful, you are just a bully. To be fair MILC man, Canon is charging 2021 prices for 2013 tech considering the real MILC FF cameras from Nikony are 2k. The crazy part is Canon isn't really even "trying" to capture as many as possible, people are buying their cameras purely off obligation due to the lens system or ignorance of the competition. I have a friend who just bought a 6DMII for travel only because his family members own old rebels. Didn't even get a RP. Canon is for casual buyers who don't know any better. Is that why it dominates every segment ? Canon has enjoyed no 1 status by operating above critical mass and sucking everybody into their orbit for the past 20 years. That's all they know how to do and, frankly, all they need to do to remain No1. DPR could just copy-paste the 2018 or 2017 interview and change the dates, same difference. I was around when many pros (including newspapers and agencies) changed from Nikon to Canon to take advantage of the EOS system. I can't see why they would not now go the other way IF another brand gave them, a reason to do so. The same was with keen amateurs, dumping cameras and lenses to change brand. 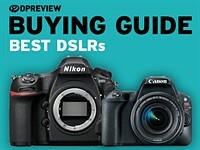 So what photographers « that knows better » are buying? Canon made its name in stadiums and sports arenas way back in the 80s 90s when everybody was sporting white bazookas at the sidelines. I don't think Canon will ever make a 'real' enthusiast camera. They like to believe they have checked that box with the R and RP and they are masters of self delusion. maybe Canon should give you a job and go all the way to Pentax sales figures but maybe having the camera you think is just right...for you. Then why did they release 'NEW' mirrorless bodies with 'warmed-over' sensors, crappy 4K implementation and just a single card slot? Oh, and that stupid 'jiggly-bar' thing that suddenly disappeared on the very latest model? The touch bar will be back. It was just excluded from the RP for cost reasons. I can't believe I didn't spot that! (It was unmarked on the mockups we were shown). I've only seen pictures of the lens from the Birmingham expo and the switch was clearly marked as "Lock". Maybe they tried to hide it on earlier mockups. I think it's still cool that transport size will be smaller but i was hoping they managed to make it internal zoom in that size. You can't with a Canon. Who would have guessed Canon is trying to get as many customers as possible? But there's more. 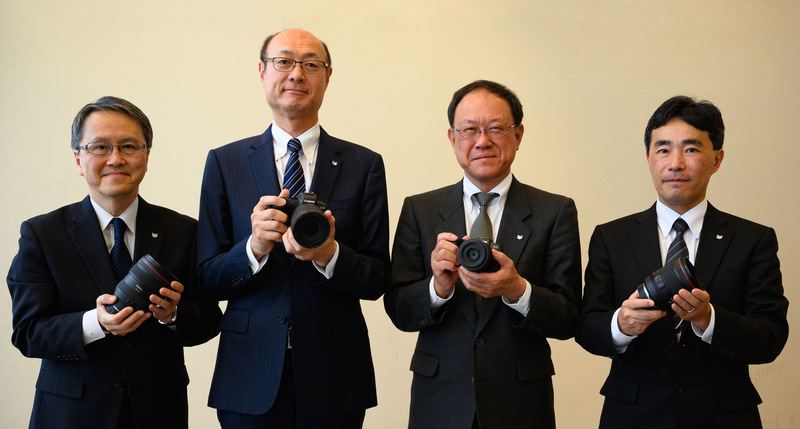 Canon executives are entertaining the notion that Canon sensors need to improve. Still more. Are they ready for the Olympics? Turns out they are. Mirrorless is becoming more popular, wow, revelation after revelation. Well, the lens extends, so that's something everybody didn't already know. I wonder if the executives were more "open" this time because of the good review you gave to the EOS RP. Good theory, but the dates don't add up. I didn't spot the increased glasnost. "Should EOS RP customers expect more affordable lenses in future?" - "Yes, you can expect that."